On Thursday, February 19th, AmCham Estonia held the Women in Leadership Dinner, ”Why Female Leaders are important in today’s Global Economy,” at the Swissôtel Tallinn, where women from all professional backgrounds- business, government, philanthropy, education, and the arts- gathered for a night of exceptional food, inspiring speakers, and valuable networking in Estonia. 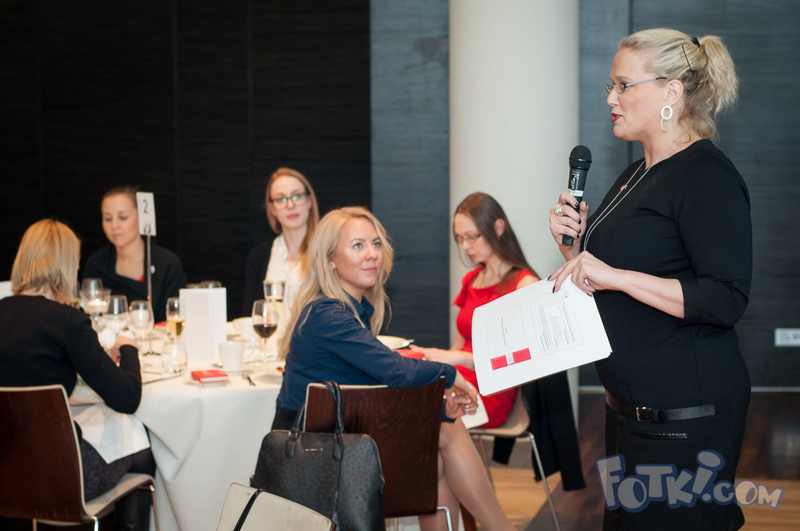 The focus for this Women in Leadership event was to understand the importance and value of female leaders from two global professionals, Ania Jakubowski from Coca Cola and Marina Kaljurand from the Ministry of Foreign Affairs. 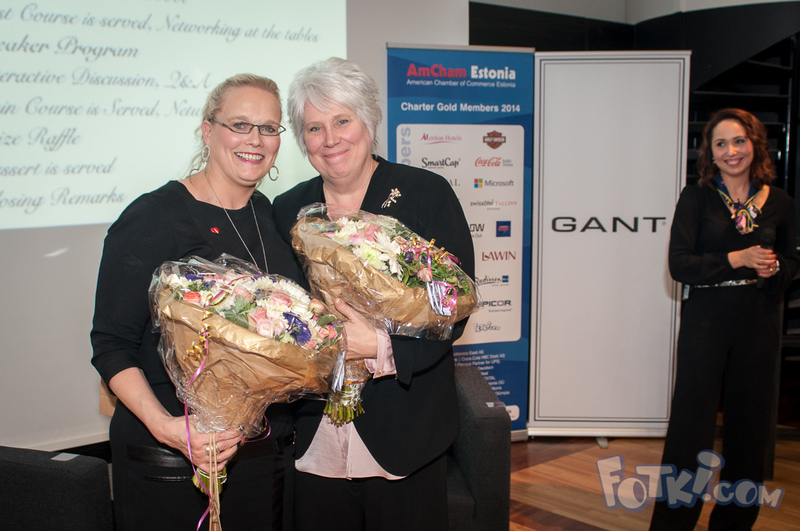 The event was opened with a warm welcome and brief introduction by Daria Sivovol, the Executive Director of AmCham Estonia. • Realize, are you achieving results or exceeding results? • Women are underrepresented in politics and prominent business positions, why? An important aspect of the event was the Q&A session following the women’s speeches. The audience was very vocal in their thoughts, concerns, and questions for Ania and Marina on female leadership and their importance in our global society. This topic encouraged professional networking and started engaging dialogue amongst the men and women at their own table. We sincerely thank both of our speakers for taking time out of their busy schedules to speak to our members and guests. We offer a special thank you to Dylan, GANT, and Avon for their support and gifts. 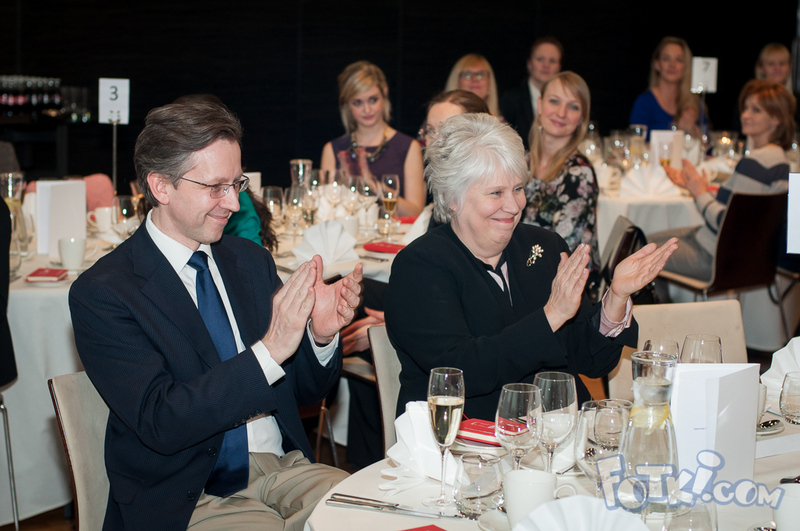 We also appreciate the help from Swissôtel Tallinn for their wonderful banquet hall and service. Lastly, we would like to thank our event sponsors, Coca Cola and Microsoft for helping us with such a successful event! We look forward to many more rewarding Women in Leadership events in the future! To view the event photos please CLICK HERE..